The city is looking at ways to improve the streetscape and make the town center a more attractive, vital area. 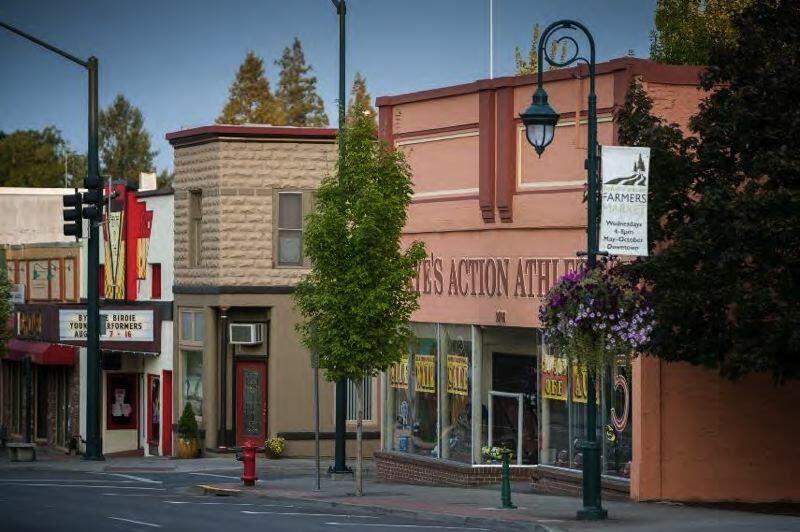 As the Forest Grove City Council met Monday evening, April 9, it focused much of its discussion on ways to improve Forest Grove's downtown streetscapes — such as new signage, wider sidewalks, public art and more. 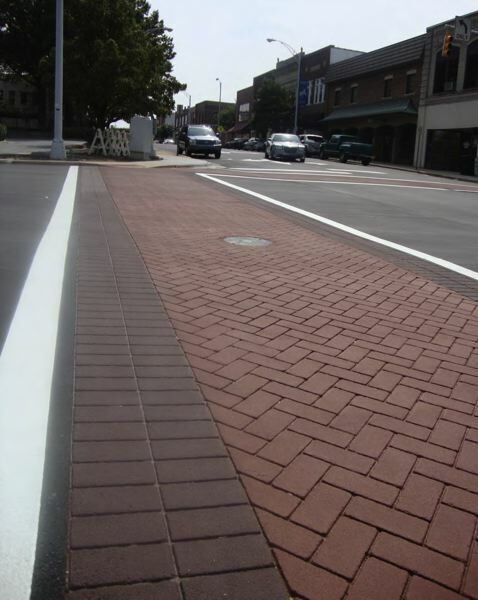 The council voted unanimously to approve a maintenance and replacement plan for decorative crosswalks in the city center, substituting the stamped red thermoplastic used for crossings at several intersections with more durable brick pavers. City officials have said the brick option is more expensive to construct but should last at least long enough to justify the expense, given the shorter lifespan of the thermoplastic decorative crosswalks. Aside from voting to approve the plan, which city councilors and staff discussed in February, the City Council also heard a briefing from Forest Grove Community Development Director Bryan Pohl and Senior City Planner Dan Riordan on additional ways to improve the look, feel and functionality of downtown Forest Grove. "This is not a dollars-and-cents sort of issue — although it can be, certainly — but this is a place-making sort of issue," Pohl said. "The importance of streetscape is in establishing a sense of place." 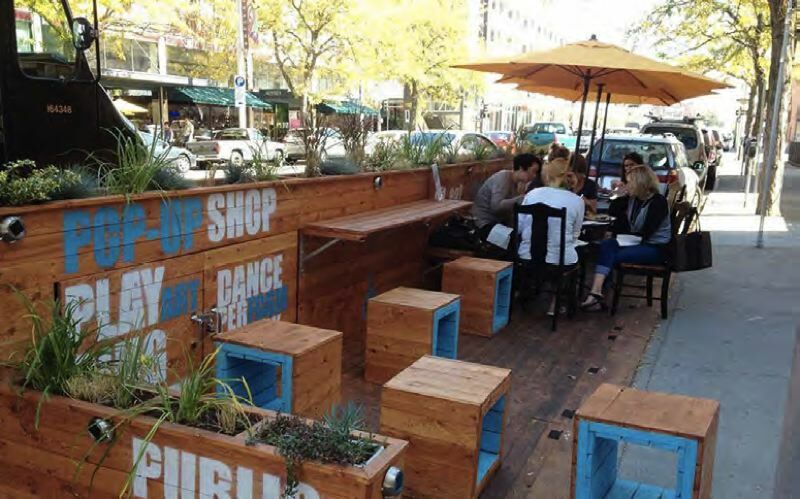 One of the ideas that attracted the strongest interest from members of the City Council was the proposed placement of "parklets" along a downtown street or two. As Pohl described them, these approximately 20-foot-long parklets would feature an outdoor seating area, perhaps one suitable for outdoor dining, where people could gather and spend time outside during the summer months. "It's just one of those things where it creates a visual interest, it creates comfortable space, it creates a place for people to sit and just sort of hang out," Pohl said. "People hanging out in your downtown is a good thing. When people hang out, they spend more money in your downtown. They promote more of a sense of economic vitality in your downtown. Moreover, when people are just hanging out in these sorts of spaces, they create more visual interest for other people to wonder what's going on and want to be a part of something like this." Councilor Tim Rippe said he has questions that would need to be answered about the parklets, but he likes the idea. "I've done a lot of traveling in Europe and other places, and the streetside cafe experience is a kind of thing that … makes Forest Grove this experience of being able to sit out in the open and enjoy the downtown area," Rippe said. Councilor Malynda Wenzl also favored the concept. She suggested the city could ask Pacific University or the Forest Grove United Church of Christ for permission to use part of their property for a summer parklet. Wenzl fondly recalled a time when downtown Forest Grove was a more vital attraction for area residents. "I'm just so excited, because this is one of the things that brought me to council," Wenzl said. "I think that's part of what makes Forest Grove Forest Grove: the community, the events. And so anything that promotes coming downtown for the walkability and being present and connected to one another in the community, I think you're going to see a trend nationwide going back to that community-based interactiveness. So I'm down, and I'll help you guys however I can, because this is really cool." Rippe and fellow Councilor Val Valfre also expressed interest in exploring new options for parking signs downtown. Pohl presented a couple of alternatives to the current design that he suggested would stand out more for visitors. Valfre was less enthusiastic about the idea of street art, such as wall murals, that Pohl mentioned in his presentation. He said he does not want downtown Forest Grove to look "trashy." Wenzl suggested the city could partner with Forest Grove High School to give students a role in public art in the downtown area if it does choose to go down that route. In addition to their aesthetic value, streetscape improvements also serve a safety purpose, said Jayne Cravens, who volunteers on Forest Grove's advisory committee on public safety. "I realize the goal for these is making the city attractive and pleasant to look at," said Cravens, speaking during a part of the meeting set aside for citizen comments. "But the reality is they are safety measures. They make pedestrian crossings much more visible, and they slow cars down — something very much needed when cars are traveling through our city." As Cravens described them, the decorative crosswalks are an example of public safety needs being incorporated into visual streetscape improvements. While many of the existing thermoplastic crosswalks installed nine years ago show considerable wear, city officials have said part of the idea behind them is that their eye-catching red coloration will remind drivers to slow down and watch for pedestrians crossing the street. The brick pavers are expected to do the same, with the added benefit of greater durability. At the Feb. 28 meeting when the outlines of the plan the City Council approved Monday evening were presented by Rob Foster, Forest Grove's public works director, Mayor Pete Truax remarked, "If we have a totally different appearance for the crosswalk, then that … ought to signal to drivers that there is a difference there, and the reason for that difference is that people use it." The plan calls for the brick crosswalks to be phased in as the deteriorated thermoplastic crosswalks are replaced. Additional crosswalks will be installed as money for the project — which comes from Forest Grove's street fund — is available, at the intersections of Pacific Avenue and A Street, 21st Avenue and A Street, Pacific Avenue and Council Street, and Pacific Avenue and College Way. One of the existing decorative crosswalks is not included in the plan, Foster acknowledged Monday. Rippe asked whether the thermoplastic crosswalk at Pacific Avenue and Birch Street, across from the Forest Grove City Library, will be replaced or removed. Foster said it is not in the plan and its future is "a little questionable." It could be replaced with white striping rather than the more expensive brick pavers, he added.